There are no antics today. There are no Worth and Gates today. There is no writing about them in the third person today. Today is too sad for that. 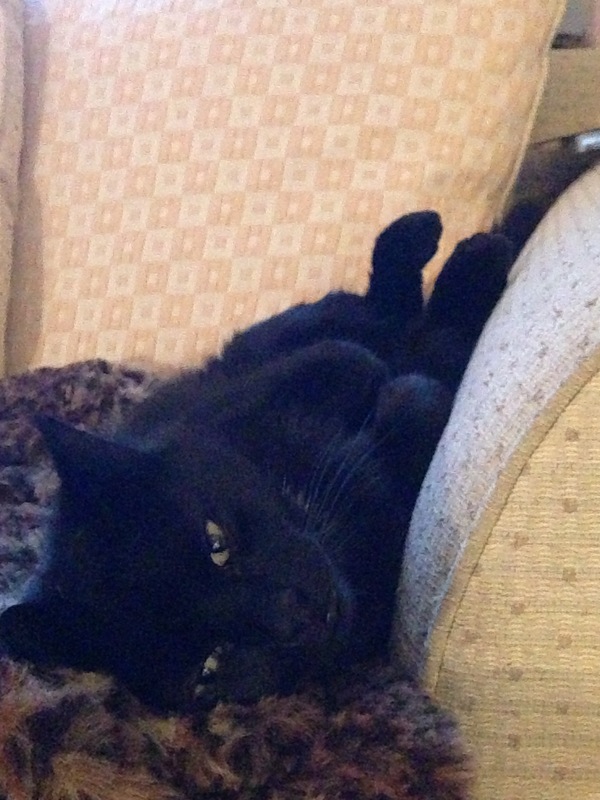 On the morning of July 22nd our beloved cat Alfie was fatally run over. It was quick he felt nothing, knew nothing about it but his life was snatched from him and from us. We cannot begin to describe the pain and upset that we feel. Peanut phoned me at work to break the news after a local vet rang her. Alfie had been brought in and he was identified from his chip. I just cried, I couldn’t ask how Peanut was I was just so shocked and broken hearted. I was crying as I put the phone down. My mates knew something was wrong and Kasia kindly gave me some tissues. Later when I rallied I phoned P to check on her. She was crying and blubbing. She had been strong talking to the vet and strong breaking the news to me but then it all caught up with her. It was awful hearing her cry on the phone utterly forlorn. My comrade in arms, broken and defeated. Peanut’s first cat passed away at a goodly age from a tumour in his lung. He died with great dignity taking himself off to his favourite embankment to fall asleep in the cold weather and not wake up. He succeeded on his third night and his pain was done. I learned from Murray. I learned. Ola a stray kitten had joined our team but she did not fill the gap left by Murray. We visited the Worcester Animal Rescue Centre with our dear friends Ray and Gail and I met Alfie, a handsome black cat who looked like he might with Ola’s help, fill the gap left by Muuray. I loved him immediately, and after a few weeks of bonding we took him home. We collected him on the way home from me having chemo treatment at hospital. It was the 23rd February 2011. I was so excited that day, more so than when I got my first house or first car. He had a big job to do. Fill the gap left by Murray, but also be our friend and part of our family as I continued with my fight against cancer. He was to be there for Peanut come the day I can’t be. He was to lover her, distract her, busy her. His job was to be Alfie. Silly soppy Alfie. He did all we could hope. He was fun and loving and loveable. Every day of his life our hearts loved him to the core. Whoosh and he is gone. That was Friday morning. Peanut had to spend the afternoon packing a case as that evening we were off to our home in France. It was a very busy drive. In the end we detoured a scenic way along the Napoleonic route and arrived at our apartment at six on Saturday. We talked about Alfie on the way down. We laughed and we cried. We would suddenly get overcome with waves of utter sadness. I hope we are done with crying but I suspect not but we must make sure we smile when we remember. We were a unit at home. Beastie, Peanut, Ola and Alfie. Our team has been hit hard and Ola is at home without any of her team, trying to understand what she never can. Soon enough we will be back with Ola and the team will grow strong. Now though we must smile holiday smiles while we grieve and cry, lamenting the passing of our beautiful Alfie. We love you Alfie. I am so sorry. Words elude me. I am heartbroken. Much love to both of you. And to Ola.